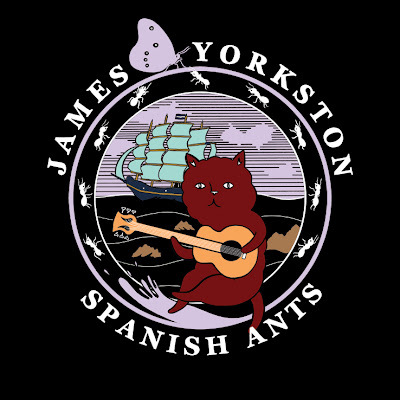 Here's some artwork I did for the digital release of James Yorkston's Spanish Ants EP on Domino. It's an earlier version of what eventually became the t-shirt logo a few posts below. Check out the EP here! As well as the excellent title tune, it includes remixes by The Pictish Trail, OnTheFly and James himself - it's killer material; all bangers, no mash. Disco sausage.